Join us on the first Tuesday of each month for family craft night where we will do a different craft project each month. We will spend the first hour of our time working on a craft project that you take home. A treat will be provided. When your project is complete we will play a game of mini golf while the projects dry. The cost of each project will vary by month. Check this page for information on the next project! Space is limited, so reserve your spot by following the link at the bottom of this page. 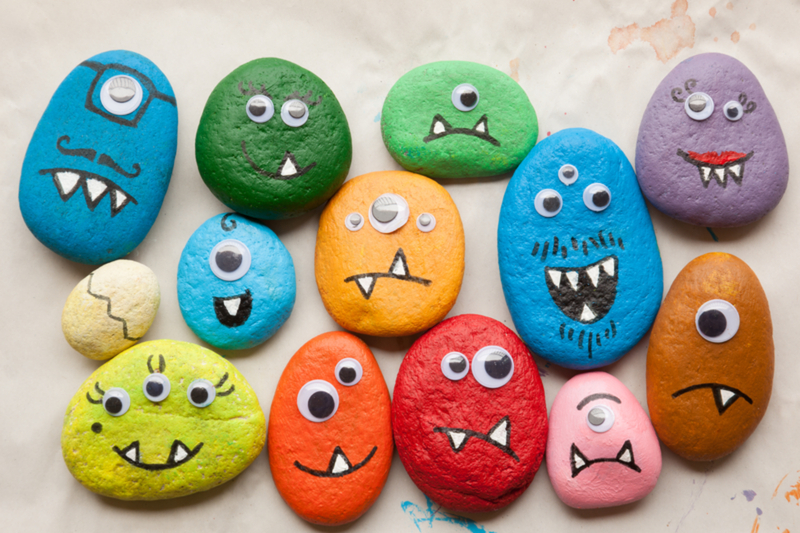 Tuesday March 5th 6:00pm to 8:00pm Painted rock night! 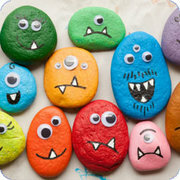 Together we will paint rocks to look like fun creatures! All of the needed supplies will be provided and the staff at Laser Blasters will assist your child (and parent) in creating a fun project. Snacks will be provided. While your rock is drying, play a fun game of mini golf together! This is a great way to spend time together as parent and child! Each person attending must pay to attend. Limited number of seats are available.